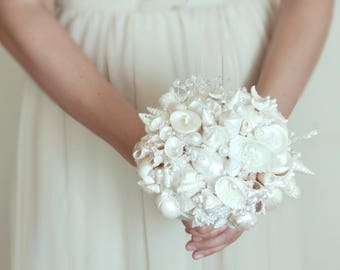 This sophisticated bridesmaid seashell wedding bouquet is a creative alternative to a flower wedding bouquet. Such bouquet will never wither. This is ideal accessory for your beach or destination wedding. The Bouquet is 100% handmade from top quality materials. The high amount of attention was paid to every single detail. Each flower made by me from silk and polyester fabrics. 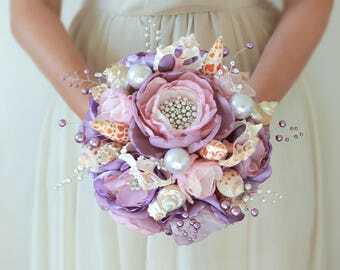 Bouquet contains natural shells and different brooches as center piece of flowers. Also gently decorated with pearl beads and crystals. 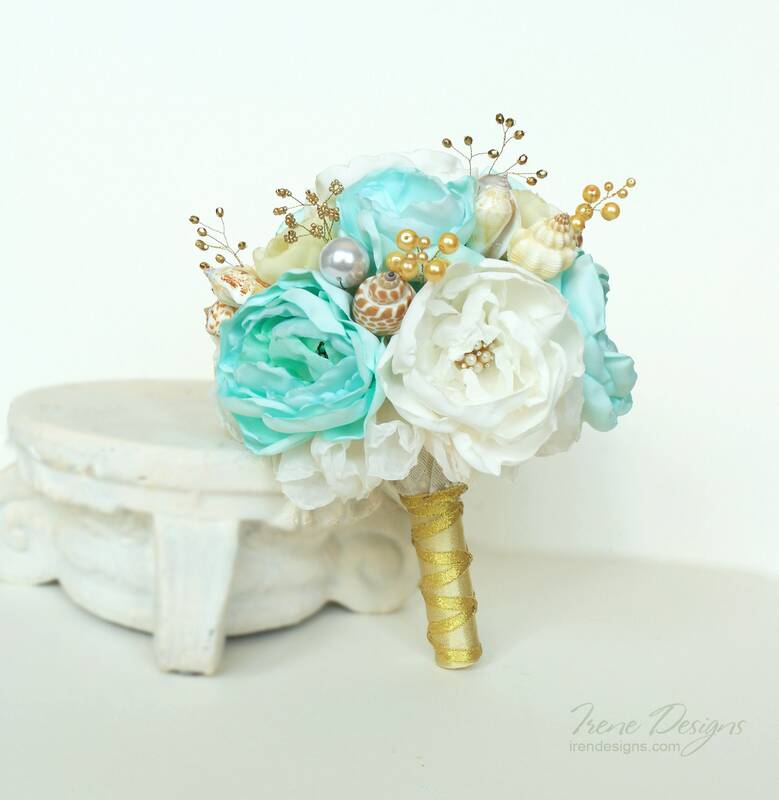 The bouquet has light mint-turquoise, gold, ivory and beige shades. It will be perfect for the same wedding colors. The Bouquet will be carefully packaged for shipping. It has a storage bag. Set of seashells wedding bouquets and boutonnieres. 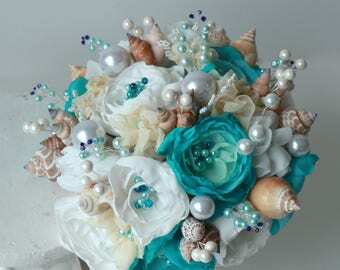 Seashells bridesmaid bouquet. Turquoise ivory and beige bridesmaid bouquet.